New York: E.P. Dutton & Co., Inc, 1946. First American edition of Malaparte’s masterpiece. Octavo, original cloth. Near fine in a near fine dust jacket with light rubbing and wear. 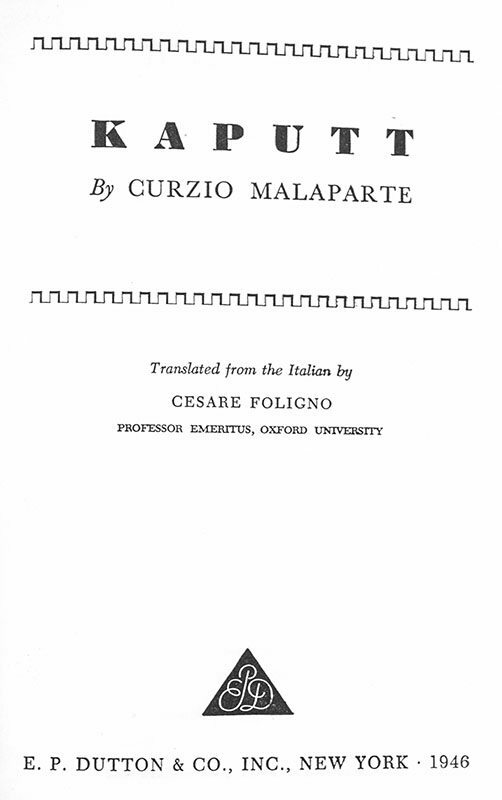 Translated from the Italian by Cesare Foligno. 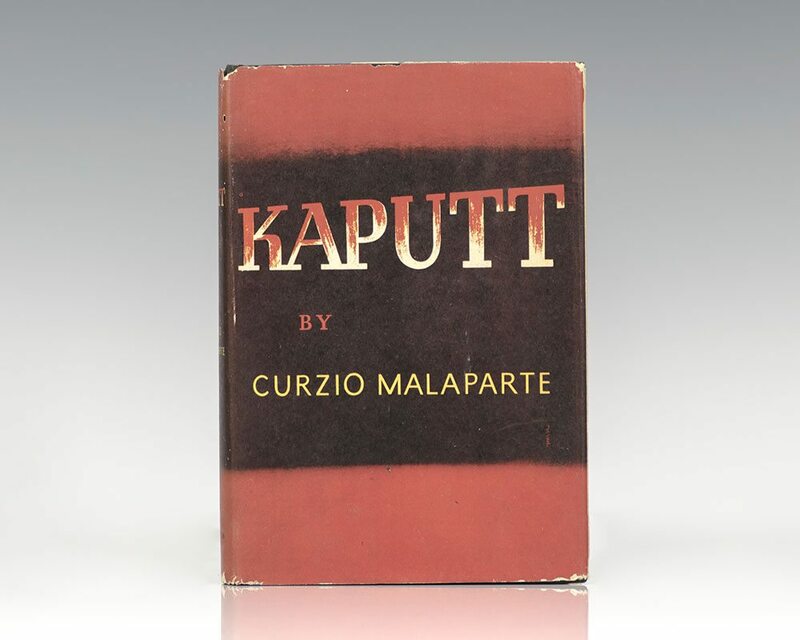 "Curzio Malaparte was a disaffected supporter of Mussolini with a taste for danger and high living. 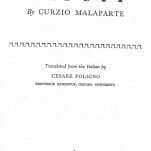 Sent by an Italian paper during World War II to cover the fighting on the Eastern Front, Malaparte secretly wrote this terrifying report from the abyss, which became an international bestseller when it was published after the war. Telling of the siege of Leningrad, of glittering dinner parties with Nazi leaders, and of trains disgorging bodies in war-devastated Romania, Malaparte paints a picture of humanity at its most depraved" (New York Times Review of Books). 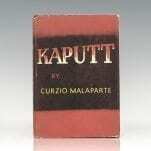 "[Kaputt] is like a report from the interior of Chernobyl. Malaparte had gotten very close to the radioactive core of the Axis Powers and somehow emerged to tell the tale, simultaneously humanizing things and rendering them even more chilling as a result. Required reading for every citizen of the Twentieth Century" (Walter Murch).